It’s the year 2015, with so much technology and advancement around us, it’s almost impossible for us to imagine that there is no real road connecting the northern and the southern part Americas. 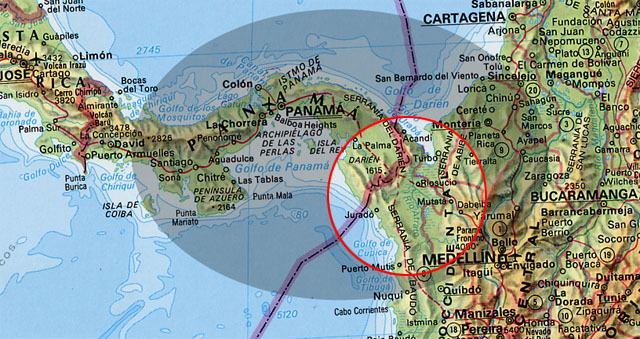 The region spanning the southern part of Panama that borders Colombia and is exactly where this gap lies. Theoretically, the gap can and has been crossed by great adventurers after months of hard-work, hacking the dense parts of this dangerous tropical forest, but there still isn’t a normal road for others to do it. Besides the dense, untouched and dangerous rainforest, this area of about 10,000 square miles is dotted with guerilla rebel groups and several natives who don’t make it easy to cross.